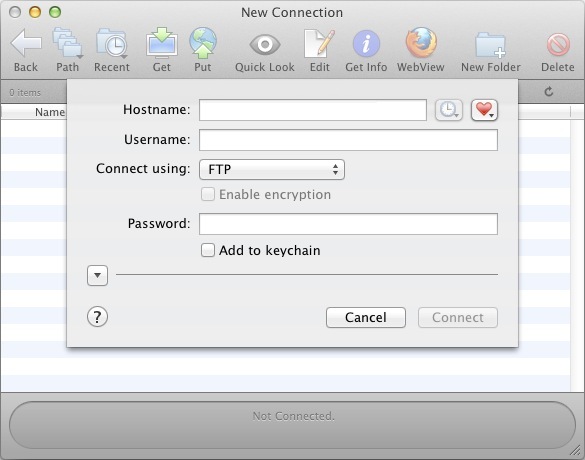 Among the various FTP programs available to download on the internet for Mac OS X, one we recommend is Fetch. href="http://fetchsoftworks.com/downloads.html" target="_blank">http://fetchsoftworks.com. The program is installed by dragging the Fetch icon into your computer's Applications folder. When Fetch opens, you will see the new connection box automatically open. For the hostname, if your nameservers are pointed to ns1.Justhost.com and ns2.Justhost.com, you may simply put your domain name. If your nameservers are not pointed to us, then please use the IP address that you received in your introductory E-mail message. 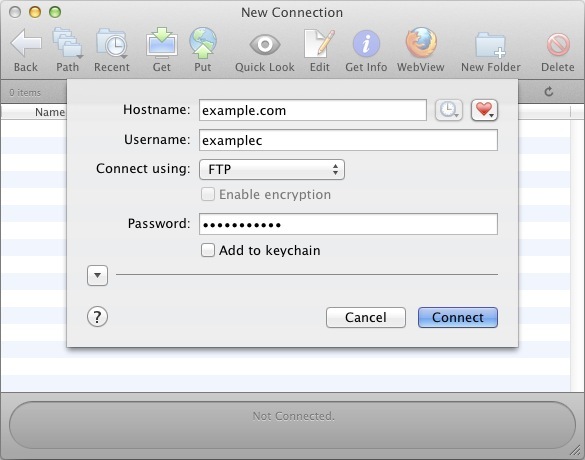 Enter your FTP password. If you are using the default FTP username, the password is your cPanel password. The easiest way to copy files to and from the server is to simply drag-and-drop them using Finder. 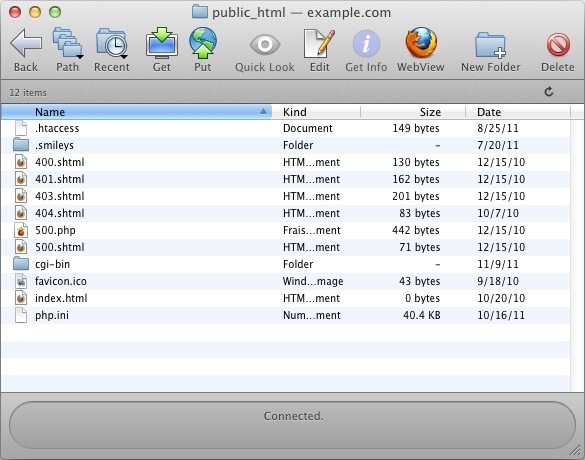 You may also use the program's Get and Put icons to upload and download from the current folder. What is a Fav Icon and How do I change it?